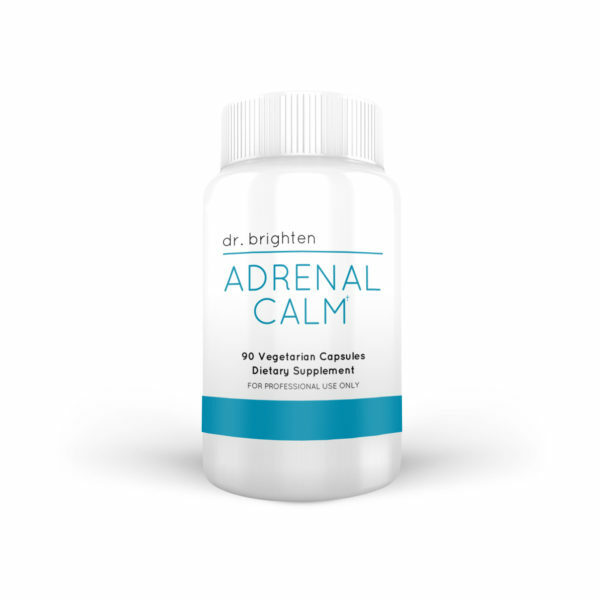 Dropping stress hormones like nobody's business, this supplement is a literal chill pill. A synergistic blend of adaptogenic and nervine herbs, paired with nourishing B Vitamins, and calming amino acids L-Theanine and Phosphatidylserine, this formulation supports restful sleep and cortisol balance. After so many years of struggling with adrenal issues this has really helped me with the wired and tired feeling I had every night. I’ve been taking this supplement for about four months now and have never slept better. And all those racing thoughts are gone! I can’t express enough how grateful I am to have this and how easy it was to start getting better sleep. Thank you so much for Dr. Brighten all your help and for making safe supplements for women. Really is a chill pill. Highly recommend. Love Dr. Brighten’s supplements. I trust her and I am feeling so much better. Sleeping so much better now! I used to toss and turn all night and wake up in the early morning. After 3 days I fall asleep as soon as my head hits the pillow and don’t wake until the alarm goes off. This supplement is a blessing! I have been a lot less anxious in the morning since starting this. I’m also not waking up every night. My sleep has improved a lot with this supplement. I was having a lot of trouble getting to sleep before starting this supplement. I am falling asleep easier and waking up feeling better since starting this. This is the best I’ve slept in years! I couldn’t shut off my mind and I would wake multiple times every night. I can’t remember the last time I slept this good. 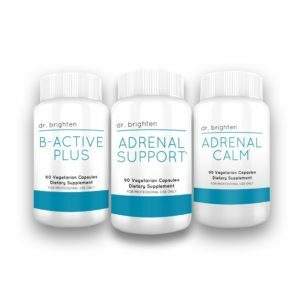 My mood and energy have been so much better since starting Dr. Brighten supplements. I have much more energy since staring Dr. Brighten supplements. I feel like this supplement does exactly what it says. I am much more calm now that I’m taking this.